Pro-Stat 64 liquid protein formula is a concentrated protein fortified with L-tryptophan. 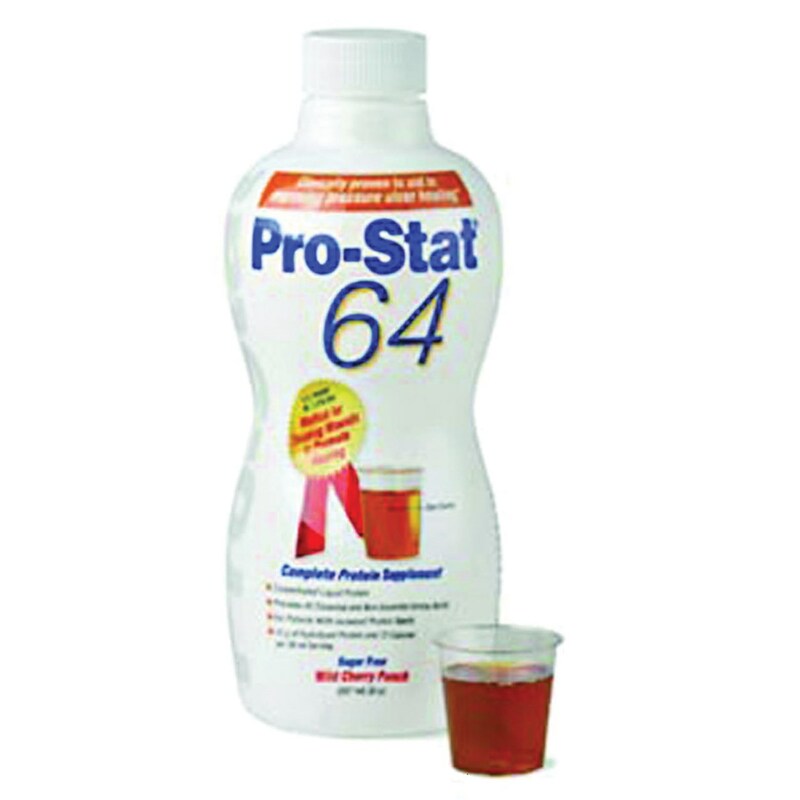 Per serving, Pro-Stat 64 has 15 grams of protein and 60 calories per 30 ml (one ounce) and is sugar and carbohydrate free. Pro-Stat 64 helps accelerate tissue healing, a critical factor in replenishing depleted protein stores in patients with pressure ulcers, malnutrition, and low albumin levels. Also Pro-Stat can be used for bodybuilders and anyone that requires extra protein intake in their daily diets. 29.5 oz Bottles (Case of 6).